Who can deny that The Walking Dead is one of the most suspenseful dramatic shows in television history? One can easily point to Frank Darabont as the actualizing visionary who brought Robert Kirkman’s comic book vision to a big screen and helped us feel that primal terror that was lacking in so many B-zombie stories. 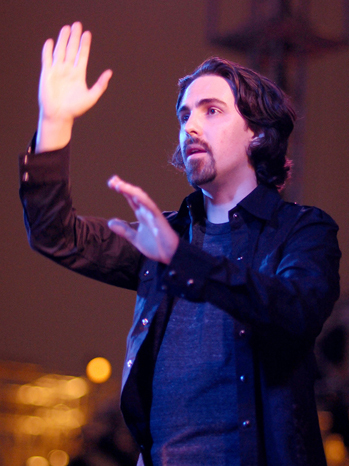 (Yes, there is such a thing as B-list zombies and A-list zombies…House of the Dead, definitely B-list zombies case in point) However, we would be remiss in not paying homage to composer Bear McCreary, who helped make the music of The Walking Dead captivating and horrific. McCreary’s theme is a fitting one for a “prestige” zombie flick, combining the fast and maddening tones of a B-movie thriller, with operatic highs and lows in the background chorus. McCreary has stated in interviews that his score was based only on production designs for the opening title sequence. Little wonder then that he chose to highlight a recurring motif rather than a complex series of chord progressions or catchy little ditties. McCreary created a motif of music using strings. “That, to me, was the little hook – that little thing that, whenever you hear it, it takes you to the series, says McCreary.” Indeed, viewers hear the theme song even before the main title begins, instantly identifying the universe, the story line and the relentless atmosphere that has characterized the show. 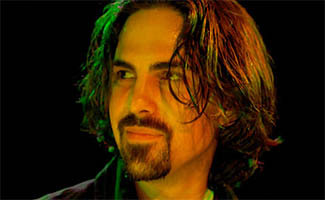 Bear McCreary, 33, and young in comparison to Hans Zimmer and other musicians known for guttural and intense scores, has also composed themes for Battlestar Galactica and Terminator: The Sarah Connor Chronicles. In addition to the well known and frenzying theme, McCreary also composes music for battle sequences, emotional roughhousing and other experimental moments, such as his rendition of “Bye Bye Baby Bunting”, a 200 year old lullaby, that was featured in a scene with the Governor. What’s up next for this zombie loving bear of a man? Why of course, composing the music for the upcoming season 4, as well as scoring the themes for Defiance, a SyFi original series, and Da Vinci’s Demons, a Starz original series. 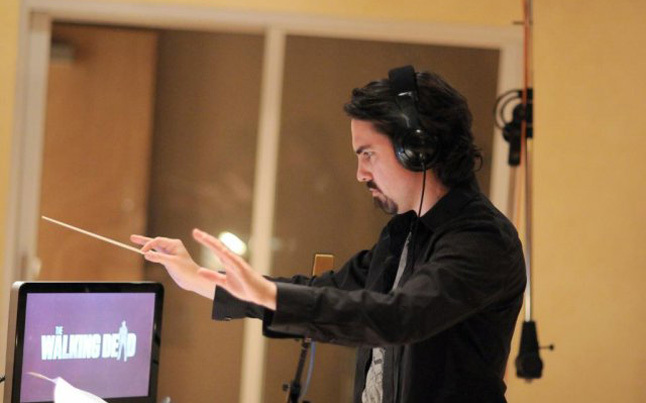 Bear McCreary is undoubtedly a significant part of The Walking Dead‘s success. The pulse at the end of the show was awesome! HUGE Bear fan. He did two of my favorite shows of all time (TWD and BSG). It’s also awesome that he does those video blogs – I’ve never seen a bigtime composer take the time that he does to share stuff with the fans. I am fan! The music really sets the mood.